An Employee Stock Ownership Plan (ESOP) can provide business owners valuable tools and benefits; including market for corporate stock and tax-free exchanges of the stock under certain circumstances, and a means of extracting hard earned capital from businesses through smart tax-free channel. For those business owners who have already taken steps to secure an ESOP, the next step is to address the repurchase obligation liability that occurs as plans age, as an outdated plan can have a significant impact on stock performance. 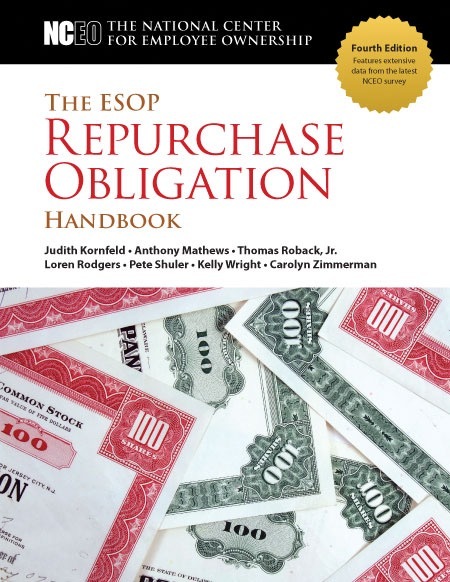 We’ll send you the new ESOP Repurchase Obligation Handbook published by The National Center for Employee Ownership as our complimentary gift to you. Simply complete the information in the form to get your copy in the mail.